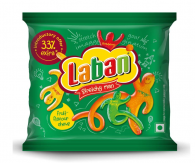 Amazon India is selling Laban Stretchy Man Fruit Flavour Chews, 22gms Rs. 1 lowest and best price online . You can follow the below steps to buy this product at their deal price.Keep Visiting dealsheaven.in for more Best offers ,hot online deals, promo code, coupons and discount . How to Buy Laban Stretchy Man Fruit Flavour Chews, 22gms?